Selecting an RF component supplier that is the most capable to design and manufacture your required specifications is critical to the success of your application. Knowing what questions to ask is essential in choosing the proper manufacturer for your RF product needs. 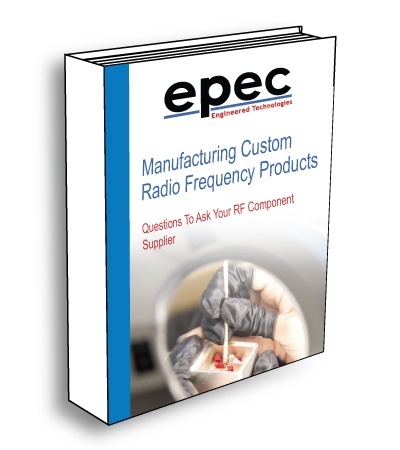 In this Ebook, we will review the top questions that should be asked and answered as part of your RF supplier vetting and selection process. Virtually all Radio Frequency (RF) communication systems utilize an amplifier and an antenna. In many cases, this relationship demands passive RF devices that assist in managing the transmitted and received signals. There are many types of components and just as many uses for each. This is also true of the RF component supplier that you choose to work with.